"A picture is worth a thousand words." We've heard the proverb many times. Newspapers are filled with journalistic photos that capture the essence of a news story. We look at those piercing eyes of the woman from that amazing photo from the cover of National Geographic--you know the photo, I know you do--and just her eyes tell the story of her struggle. Street photographers capture moments that tell the stories of a culture--the mood, hopes and fears of a people at a time and place. But with nature photography, things often change in our minds. We commonly we think of nature photographs as static snapshots of a beautiful sunset or a rare bird. But nature photographers can tell stories too. Photographs capture a moment in time, but they capture a moment often with a record of the past and with an anticipation of the future. Life and nature is always dynamic and changing, so capturing a moment can give you evidence of the past and a hope for the future. 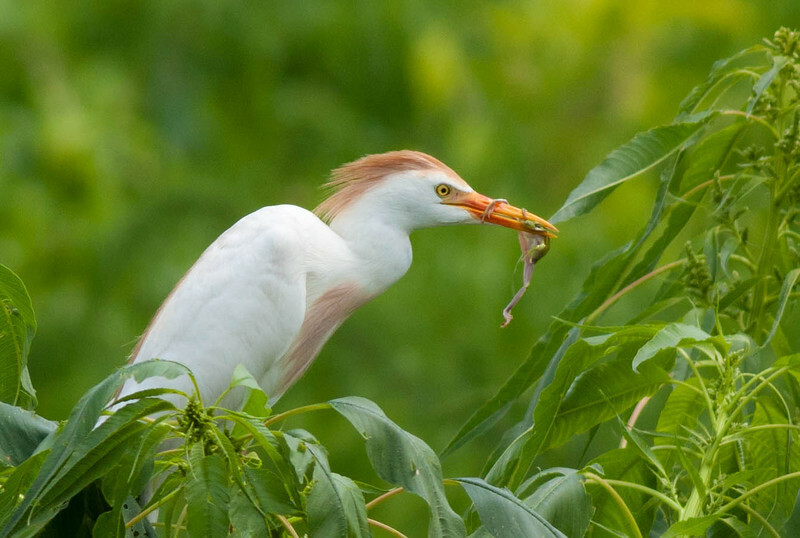 Consider the above photograph of a Cattle Egret. You know what he's been up to. The frog in his mouth tells you the story of what he's been doing and why. "Bird's gotta eat," you know. Do you feel happy for the Egret, sad for the frog? So the photograph can tell a story of the struggle for survival, and the Egret is now more than just a pretty bird--his survival directly impacts the lives of other animals at Orlando Wetlands Park. 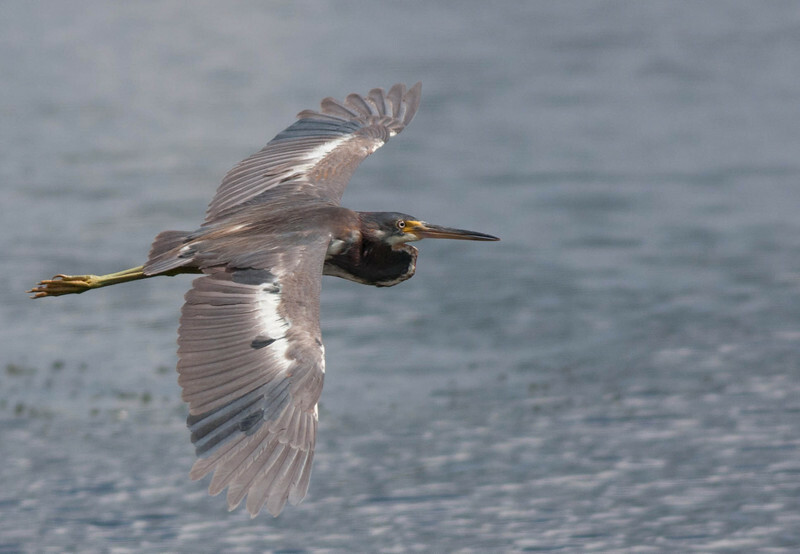 And the above photograph of a Tricolored Heron in flight is not just a record of a pretty bird flying to some destination. At least for me, it tells the story of renewal. The worn and faded feathers are being replaced by new ones--a process the heron must go through throughout his life that is essential for the continuation of the species.